Motorcycle accident litigation can be far more complex than typical automobile collision negotiations, meaning that victims are underserved if they don’t enlist the services of a firm that has experience with the challenges that such motorcycle cases can present. You can’t get much more experienced than the Ventura motorcycle accident lawyers of the Nagelberg Bernard Law Group. For over 30 years, our firm has assisted those persons victimized by accidents in gaining the compensation they are entitled to by law. This includes a $5.5 million settlement for a motorcyclist who fell victim to a construction defect being left in the road. One of the leaders of our firm is himself an avid motorcycle driver, and he and all of us understand the obstacles that your claim might bump up against. That’s why we’ve spent years developing and utilizing expert legal tactics that allow us to better pursue your case. This is but a sampling of the things you are entitled to with our representation. There’s nothing within the means of the law that we won’t do for our clients, and all of this expert service comes on a contingency fee basis. What this means is that we derive our rate based off of the amount of compensation we eventually gain you. That way, you don’t have to worry about the added expense that an hourly rate would bring. We’re confident that you’ll be satisfied with what we can provide. In our 30+ year history, we’ve gained over $400 million in compensation for our clients, which works itself out to a 98.4% success rate. To ensure that you have the best chances in your unique case, give us a call at the number on your screen. A member of our professional legal staff is available to give you a free consultation. Our lines are open 24/7, so there’s no reason to wait. Don’t settle for second best. 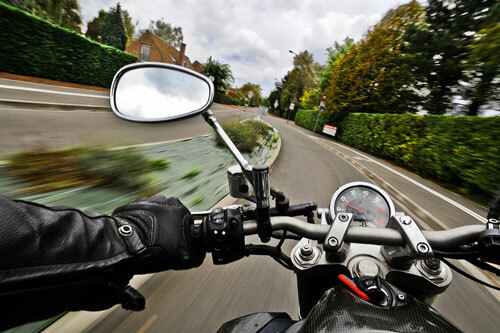 Contact the Ventura motorcycle accident lawyers of Nagelberg Bernard today.